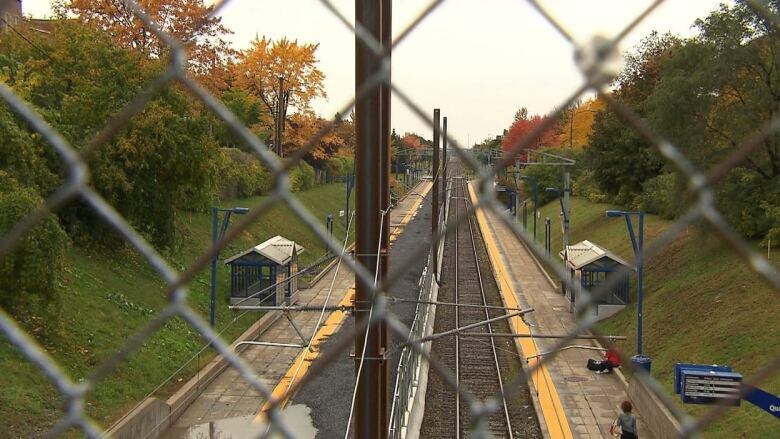 Planners for the light-rail train station in the Town of Mount Royal will need to go back to the drawing board after municipal officials rejected a preliminary proposal last week. The Mount-Royal Station is in the middle of TMR's downtown in an area full of heritage buildings, Mayor Philippe Roy said in a phone interview. That's why the council has asked the company behind the incoming light-rail network to change the design to better match the surrounding landscape and infrastructure, he said. "When one of our residents or commercial owners wants to do a renovation, we are always asking them to respect the heritage look of this part of the town," Roy said. "So the same thing applies to CDPQ Infra." 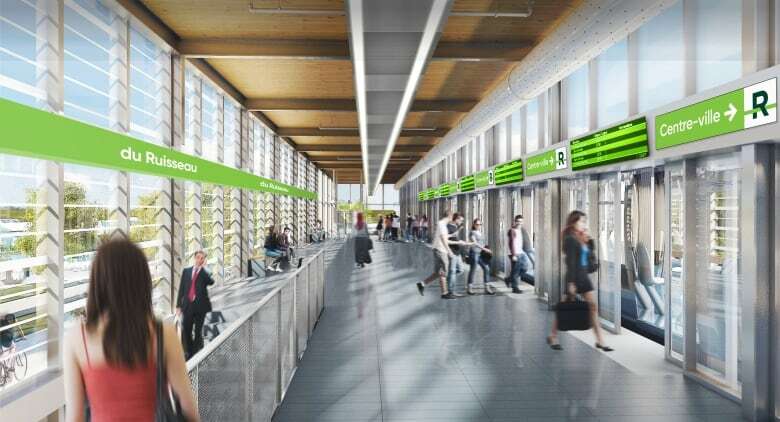 CDPQ Infra, the company behind the incoming Réseau express métropolitain (REM) project, submitted its plans for the Mount-Royal Station to TMR's planning advisory board, but members found it poorly integrated with the town's architecture and the surrounding landscape. The council agreed, rejecting the proposal on Nov. 19. Planning advisory board (CCU) members found the design "too schematic," the town said in a statement Monday. CDPQ Infra failed to provide information regarding elevations, dimensions, interior layout and finishes, the town said. CCU Members also felt that pedestrian access to the station should be integrated into the surroundings and not separated by barriers in the form of "massive fences as shown on the drawings." The Cornwall Avenue bridge over the tracks is nearing the end of its useful life and "significant reconfiguration of the urban fabric" should take its reconstruction into account, the two said. TMR's mayor agrees with the planning advisory board's recommendation, saying the rejection is based on the proposed train station's design and not the noise concerns raised by residents. TMR residents have expressed concern about the noise the trains will make when they start rolling. An estimated 550 trains will pass through TMR every weekday, and hundreds still on weekends, according to the current plans by CDPQ Infra. Back in October, the town passed a resolution asking developers to put the track in a trench and cover it to reduce noise, Roy said. But he said that's a separate issue and there is no connection between October's request and last week's design rejection. Regardless, the station's design will cover its section of the tracks. "The station they want to build, it's already in a trench and they're building over it," he said. "There's no link between one or the other." CDPQ Infra did not immediately return a request for comment.